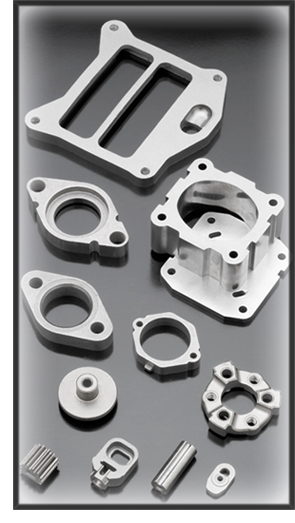 Sintered stainless is widely used in industry for applications requiringhigh corrosion resistance at both room temperature and very high temperatures..
– Austenitic stainless steels. The most typical are AISI 304L and 316L for high corrosion resistance, and 303L for easy machining. They are magnetic. Its hardness and mechanical strength can be improved by modifying the sintering conditions (N series), but some corrosion resistance is lost. – Ferritic stainless steels. The AISI 434L is used for high corrosion resistance. The AISI 409L is used for high oxidation resistance at elevated temperature, and good weldability. 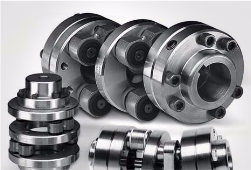 The AISI 410L is suitable for machining before hardening. They are all magnetic, and their corrosion resistance is lower than that of austenitic stainless steels. – Martensitic stainless steels. Most typical is AISI 410 with heat treatment. Its hardness is very high, and it is magnetic, having a corrosion resistance lower than that of ferritic stainless steels. 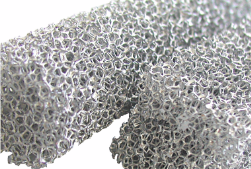 The corrosion resistance of the sintered stainless steels depend strongly on the manufacturing process, either density or sintering conditions. 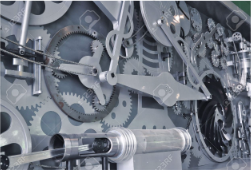 Hence, it is important to define a corrosion functional test of the component, and to design then the manufacturing process in order to fulfil the test requirements. – Exhaust systems: Flanges, Hego-Boss sensor..
– EGR systems: Internal and external flanges, spacers, valve guides, gears, cams or rods for the valve actuation. – Brakes: ABS sensor rings, rotor, stator and plates of vacuum pumps. 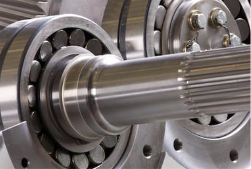 – Toothed parts: Special gears for electric motors, gearboxes, and other applications. – SCR pumps: G-rotors, gears and plates.